USA Painting Services is a family owned business that has been providing quality painting services since 1960. USA Painting Services was started by the late Tom Ayers Sr. with a commitment to quality and excellence. The tradition of quality and excellence is being carried on by his sons, Tom Jr., Rich, Ron and Scott. The Ayers work side by side to make sure each project is completed with a high level of quality and professionalism. 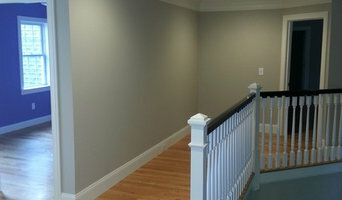 We are a fully insured company, based in Cranston, RI, that provides painting services to all of Rhode Island. 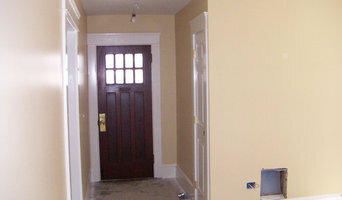 We specialize in residential repaints, residential new construction, commercial and industrial. We strive to make the customer experience our #1 priority. That means we return phone calls promptly, we do what we say we will do and we pride ourselves on honesty. We understand that every customer and project is unique and we want to provide the best service for your individual need. 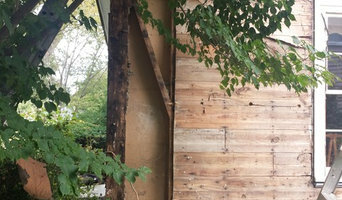 Your home or business is important to you and we take great responsibility in maintaining it as if it were our own. Den was born to a fun-loving, artistic/religious family one hot day in August, 1950. He was seen as "artistic" from age 4, scoring A's in art (and nothing else) from kinder garden through high school and beyond. The rolling hills of New England, with its fields, forests and streams, as well as its decaying factories, was the back-drop for his youth. He traveled out West, living mostly under the crystal blue skies of New Mexico for a decade, and for several other years divided in Oregon, Nevada and California. His maternal grandfather was a notable oil painter and picture framer; his paternal grandfather, a poet/humanitarian. Den's dad was an excellent violinist, (playing in a multitude of styles) a storyteller, actor and comedian-----he could imitate a dog chasing a cat through a chicken-coop on his fiddle! Although having no opportunities to attend art-school, Den was personally tutored by his talented grandfather and managed to teach himself whatever else was needed to launch himself in the precarious occupations of art and music, which has not been mentioned yet. In short, I'll simply say that he's got several cd's available that feature his own creation, the 20-string acoustic/electric 'fireharp'-----a highly evolved version of the 4-string mountain dulcimer. He also has developed an evolved version of the washtub bass that he calls the 'street-bass'. It too has one string but it's got twice the volume, tone and sustain than the ol' washtub. Added to the list is his ability to play various kinds of flutes and a unique, one-of-a-kind percussion outfit he calls the 'minute drums' because they can be set up and taken down in minutes. Last but not least, he is a decent singer/songwriter; sounding like a soft and sassy version of Jim Morrison. His latest cd, 'Shoppin' Mall' showcases clever and striking lyrics clothed in a variety of musical styles that are too diverse to describe here. (Look him up at, CD Baby.com-----via Den Poitras and/or 'Shoppin' Mall'. Presently he's once again residing in New England with his family, who also have artistic, musical and writing abilities. IdeaPaint exists to encourage and inspire everyone, every day to reach their creative and productive potential. Since 2008, we’ve been giving people the space they need to create, explore and engage with their ideas. With over 150,000 installations worldwide, our premium dry erase paint transforms virtually any smooth surface into an erasable canvas, leading to faster innovation, increased collaboration and greater results. Welcome to Sticker Hog! Wall decals are an ideal way to add a personal touch to your home or office. 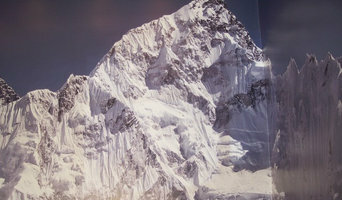 Wall decals are easy to install and even easier to remove and are safe for walls. You will find a wide selection of personalized name and monogram decals made to order just for you and we are adding new designs every day. Each order comes with detailed installation instructions and an application squeegee. If you do not see what your are looking for contact us and we can make it happen. Thank you for stopping by! Our business is our livelihood but it is also so much more. Mark S Klier Painting was started to fill in a void in the current market and to make a business that people can place their trust in. Over the years we have never lost our commitment to our clients and that is what has allowed us to succeed in a very competitive industry. The employees of Mark S Klier Painting stand committed to our purpose and will provide the best service! Our company sets out to add visual appeal and value to the exterior and interior of your home. We believe in giving our personal attention to every job and guaranteeing the quality and longevity of our work. We take pride in our friendly atmosphere, making your home beautification process more pleasant. Established in 1980, specializing in interior residential painting, wall covering installation and Faux finish.